You can use the SQL Server 2008 R2 version of Business Intelligence Development Studio to open, modify, preview, save, and deploy both SQL Server 2008 and SQL Server 2008 R2 Reporting Services reports. This makes it easy to work with both earlier and later versions of reports and Report Server projects by using the later version of Business Intelligence Development Studio. 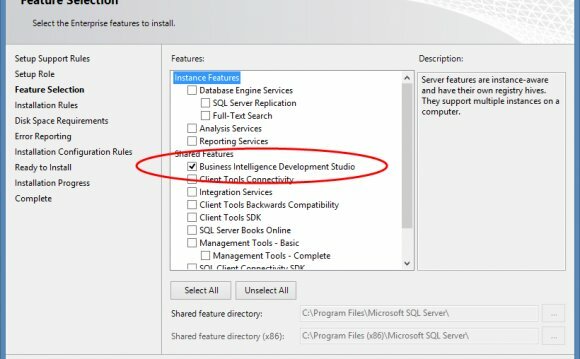 If you save a SQL Server 2008 Report Server project in the SQL Server 2008 R2 version Business Intelligence Development Studio you can no longer open it in the SQL Server 2008 version of Business Intelligence Development Studio. Opening SQL Server 2008 and SQL Server 2008 R2 versions of report definitions and report server projects. Building report definitions that are compatible with both SQL Server 2008 and SQL Server 2008 R2 Reporting Services. Previewing SQL Server 2008 and SQL Server 2008 R2 Reporting Services reports in Report Designer. Deploying reports to report servers running either SQL Server 2008 Reporting Services or SQL Server 2008 R2 Reporting Services. The following diagram shows the scenarios. Business Intelligence Development Studio supports project configurations. A project configuration consists of a set of properties that specify locations and behaviors when a project is built either as a step in previewing or deploying reports. To learn more about project configurations, see the Visual Studio documentation. Use project configurations to manage previews in Report Designer and to deploy reports to different versions of report servers. The project configurations for the report server project include properties to specify the version of the target report server, the folder that the build process uses to temporarily store reports for previews and deployment, and error levels. Reports are built before they are rendered as previews in Report Designer or deployed to the report server. A number of version-related build issues can occur when you attempt to preview or deploy a report and the report contains items that cannot be upgraded to SQL Server 2008 R2 Reporting Services or reverted to SQL Server 2008 Reporting Services and the build can fail. For example, maps can be dropped from SQL Server 2008 R2 reports deployed to a SQL Server 2008 report server. Business Intelligence Development Studio supports solution and project configurations. You use project configurations to manage the upgrading and reverting between SQL Server 2008 Reporting Services and SQL Server 2008 R2 Reporting Services Report Server projects and reports. The project configuration is associated with a specific project. For more information about the solution and project configuration, see the Visual Studio documentation. You set the configuration properties in the Business Intelligence Development Studio Project Property dialog box. OutputPath is a build property that identifies the path of folders to store the report definition used in build verification, deployment, and preview of reports. ErrorLevel is a build property that identifies the severity of the build issues that are reported as errors. Issues with severity levels less than or equal to the value of ErrorLevel are reported as errors; otherwise, the issues are reported as warnings. TargetServerVersion is a deployment property that identifies the expected version of SQL Server Reporting Services that is installed on the target report server specified in the TargetServerURL property. The use of TargetServerVersion to control upgrading and reverting of report definitions is supported only between SQL Server 2008 Reporting Services and SQL Server 2008 R2 Reporting Services. This is not supported for earlier versions of Reporting Services such as SQL Server 2005 Reporting Services. When you specify the earlier version of SQL Server Reporting Services in the Project Property dialog box, the reports are not reverted automatically to the earlier version, but remain the SQL Server 2008 reports. As such, a Report Server project can contain reports from the two different versions of SQL Server. When the Report Server project is deployed, the reports in the project are converted to the version specified in TargetServerVersion. You can add more than one project configuration to a project; each one is used for a different scenario, such as deploying to different versions of report servers. For more information, see and . The following table lists the behaviors of the Business Intelligence Development Studio commands Save and Build on SQL Server 2008 and SQL Server 2008 R2 Reporting Services report definitions that are part of SQL Server 2008 or SQL Server 2008 R2 Reporting Services Report Server projects. The key differences when you save projects or report definitions occur when one or more report item is dropped by the action. Under those circumstances, the save action uses the later version of SQL Server Reporting Services to preserve the report items. This occurs automatically and without prompting. Otherwise, report definitions that you add to a Report Server project and then open, change, and save are saved in the original version. Reports are built as a step in validating reports before they are deployed to a report server or previewed in Report Designer. A number of build issues can occur when reports are built. Reports might contain strings such as expressions or queries that are incompatible with the version of Reporting Services that the project configuration specifies, for example. Use the ErrorLevel property to manage the build warnings and errors. The ErrorLevel property can contain a value from 0 to 4 inclusive. The value determines which build issues are reported as errors and which are reported as warnings. The default value is 2. The warnings and errors are written to the Business Intelligence Development Studio Output window. Issues with severity levels less than or equal to the value of ErrorLevel are reported as errors; otherwise, they are reported as warnings. The following table lists the error levels. Most severe and unavoidable build issues that prevent preview and deployment of reports. Severe build issues that change the report layout drastically. Less severe build issues that change report layout in significantly. Minor build issues that change the report layout in minor ways that might not be noticeable. Used only for publishing warnings. When you attempt to preview or deploy a report that contains report items new in SQL Server 2008 R2, such as maps and data bars, those report items can be removed from the report. By default, the ErrorLevel property of the configuration is set to 2, which would cause the build of the report to fail when the map is removed. However, if you change the value of the ErrorLevel property to 0 or 1, the map is dropped, a warning issued, and the build process continues.